Ginger isn’t just for relieving unsettled stomachs and the common cold. In fact, ginger is rich in inflammation-fighting compounds, such as gingerols, which may reduce the aches of osteoarthritis and soothe sore muscles. In a recent study, people who took ginger capsules daily for 11 days reported 25 percent less muscle pain when they performed exercises designed to strain their muscles (compared with a similar group taking placebo capsules). 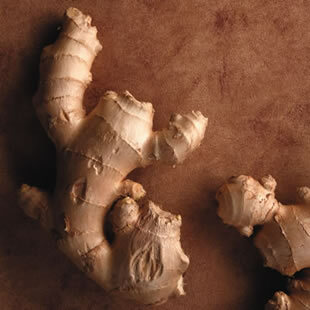 Another study found that ginger-extract injections helped relieve osteoarthritis pain of the knee. Studies show that 200 milligrams of caffeine—about the amount in 16 ounces of brewed coffee—provides relief from headaches, including migraines. But keep in mind that relying on caffeine long-term can backfire, since habitual coffee drinkers usually suffer withdrawal headaches when they cut back on the caffeine. What's your favorite home remedy from your kitchen?